I really loved this book. It was funny and cute but it also had a lot of meaning. I loved how everything was balanced and it wasn’t just a fluffy contemporary and it wasn’t one of those books that will leave you feeling like you got ran over by a train. It was the perfect mix of funny and serious. I loved the characters so much and even the secondary characters were really amazing and well written. I thought the characters had interesting and different perspectives. They weren’t like any characters that I’ve read about before and I really appreciated that. Overall, Our Chemical Hearts is a great read. It’s so well written and original. 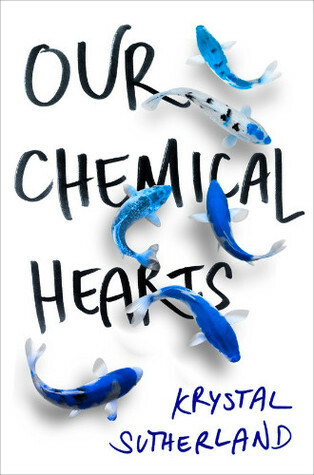 If you’re looking for a new favorite contemporary, definitely pick up Our Chemical Hearts.